Do you enjoy 4 wheel driving? Do you enjoy the bush and outdoors? Are you looking to join a fun, family orientated club? Take a look at the advantages of becoming a member. For more information email us or come along to our next Club meeting on the 1st Wednesday of each month at 7:30pm (except January) at Keysborough Senior Citizens Club at 352 Cheltenham Road, Keysborough 3172. Best to arrive a little earlier as we have people greeting guests at the door. Parking is in front of hall and also around the oval. The Nissan club was formed in 1976 to engage in and promote four wheel driving as a recreation. From those beginnings of some friends with G60 Patrols, we have grown to a well organised and inclusive group of over 200 memberships, most of these families. There are a mixture of 4wds within the club such as: Patrol, Pathfinder, Navara, Maverick, Landcruiser, Hilux, Prado, Wrangler, Pajero, Ranger, Defender, Discovery, Amarok, BT-50 and some SUV meeting specific trip requirements. 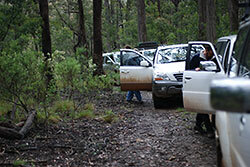 Nissan 4x4 Club of Victoria organises four wheel drive trips of varying difficulties from Novice (Easy) through to Expert (Very difficult). Trips range from half day, one day, mid-week and weekend duration to extended ones, social events, driver education programs, clean-up weekends and working bees. Nissan 4x4 Club of Victoria also has its own ~80 acre property in the Heyfield region few hours drive east of Melbourne, which members can use at their own leisure. 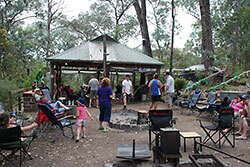 It has showers, flushing toilets, 4wd tracks and many social drinks, and stories are regularly told around the campfire. All the water run off from the roof of both buildings is run off into tanks for storage. This is used for taps, showers, and the clubs own fire trailer. Being in a remote area such as Bulldog Junction, we needed something small for emergencies. 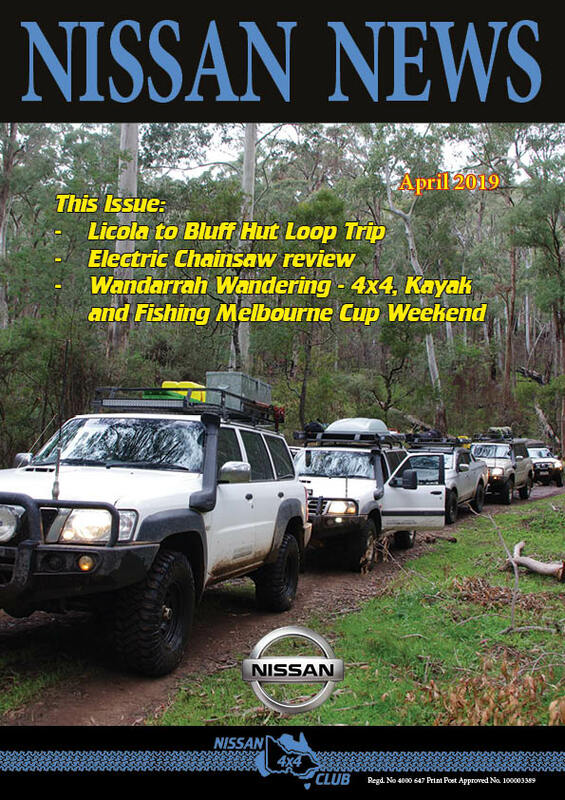 Nissan 4x4 Club of Victoria rebuilt the Black Snake Creek Hut in early 2012. We took on the role to rebuild and provide ongoing maintenance. The DSE helped us supplying materials of the same age, along with a few locals who graciously stored the materials on their property. It proved to be a great way for us to assist in keeping our historical heritage intact and to have a lasting contribution to the community. Nissan 4x4 Club of Victoria also assist the DSE, Parks Victoria, clean up the bush, farms in flood damaged areas and donate to the Royal Flying Doctor Serivce. The Black Snake Creek Hut is located along the Wonnangatta Road, west of Dargo in Victoria. 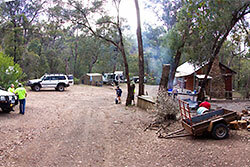 It shares space with a very large camping ground, picnic tables and a drop toilet. Established in 1938, it took part in gold mining during the depression of the 1920's and 1930's following the construction of the school undefined established 1935 till 1940. Jim Neville lived in the hut untill 1969. The gold mine and original settlement ruins, established 1867 Kong Meng Company, can be found to the North East of the hut, along a walking trail. The original hut on the other side of the creek, took part in the James Bamford Wonnangatta murder of 1917. 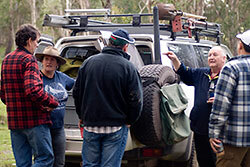 Within the Nissan 4x4 Club of Victoria, members share their great knowledge base to help others with information, suggestions, hints and tips to assist other members with planning trips. We have some members who run special trips following the early explorers tracks. Some of these trips span over several months through to just a few hours which have been rated very hard and only for the seasoned traveller. Other trips that are run are graded Beginner level allowing for novice drivers, but with most trips the weather plays a big part where we team together to help each other out. 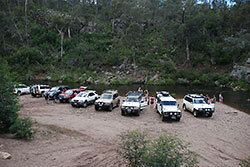 The organised trips are for members to participate in. They can be from the desert to the Victorian Alpine region where you can see and and enjoy the bush in areas thay you may not be aware of, with people who have a similar interest. 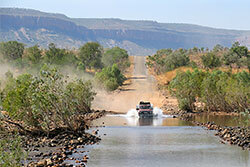 The trips vary from easy to medium to hard four wheel driving. Day and Weekend or longer durations. 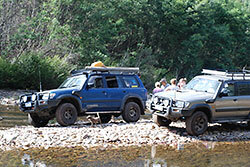 All trips require you to have completed the Nissan 4x4 Club of Victoria's accredited driver training program. This driver training program by our own Four Wheel Drive Victoria accredited driver trainers is provided free as part of your membership. Can I come to a Nissan 4x4 Club of Victoria meeting as a Visitor and can I bring a friend? You are most welcome to come along as a visitor, bring a friend, ask questions, and stay for supper. This is the best way to guage the club before joining. Be sure to let us know how you found out about us. We accept and have a large variety of all makes of 4wds and capable SUVs which meet our varying trip requirements in our club. Many of our new members arrive at the training weekend with their 4wds just out of the showroom without many modifications. If you are interested in joining our club, please contact our membership secretary who will be able to provide you a membership form and information pack. Please click on the "Contact" link for contact details. Alternatively you can come to one of our monthly club meetings. You can see what we are about, who we are, and get a better feel for the club. Our meetings are held on the first Wednesday of the month (except January). Click on magazine picture to read the latest Nissan News ! ALPINE NATIONAL PARK - NORTH TO SOUTH. West Gippsland Relic, Mining and Heritage Protection Inc.